So the time has come, again, for the Washington Wizards to take their annual position in the NBA Draft Lottery. Wizards fan know this feeling all too well. There are years of success sprinkled here and there for the franchise, but generally, unless the Wizards give away their lottery pick in a dumb trade, they get their choice of some of the best amateur players who have elected to enter the NBA Draft. This year there, the eyebrow, Anthony Davis, is seen as the most sure-fire thing in the draft, and there is no confusion as to where he will end up by the night’s end. However, after he is selected by the New Orleans Hornets, the rest of the draft order is anybody’s guess. While the Bobcats finally have somebody competent in the front office, Rich Cho, to help steer the franchise in the right direction, the owner is still Michael Jordan, so who knows what will happen. The Bobcats desperately need a leader on that team. And somebody who can fill up the stat sheet. And somebody who will play with all of their heart. If I am Rich Cho, I’m beginning Jordan to select Michael Kidd-Gilchrist or Bradley Beal. I am simply not sold on Thomas Robinson being a potential franchise-changing player. I will discuss shortly why Harrison Barnes should not be chosen second. Bradley Beal may not be a franchise changer either, but at the least, he will be a sweet-stroking role player, maybe a second or third option on a championship team. MKD, however, is a winner. Yes he has some holes in his game, but the guy is not even 19 yet. And he apparently improved in every part of his game last year. A hard worker, and athletic, individual, the Wizards can only hope that he falls to them, as much as the pundits suggest that they should not select him. On a stacked team, MKD averaged nearly 12 points and 2 blocks a game, while pulling in 7.4 rebounds a game. While he needs work on his outside game, and sometimes struggles to create his own shot, playing alongside a guy with a motor like his should help this morbid franchise turn the corner. Or you can put him next to a former Kentucky product in John Wall and a group of veterans that will help him transition more quickly as a rookie. A line-up that moves Ariza to the backcourt at the 2 position with Wall and allows MKD to play the 3 with a front court of Okafor and Nene would Have a good chance at making the playoffs in the weaker Eastern Conference. Each of the aforementioned players have high motors and Wall desperately needs a young guy to develop with. Wall hit a sophomore slump last year and will be looking to avoid regressing another year. Although he raised his field goal percentage last year by .024 percentage points, he fell from 30% to 7% in three point field goal percentage. The rest of his stats went down slightly or essentially stayed the same. Crawford is an exciting player to watch but he will fit better coming off the bench. A team with MKD and Ariza will allow Wall to be more creative, kicking out to Ariza for three or setting the former up with an exciting play, while he plays a pick and roll game with the two big men. As much as the Wizards want a pure shooting guard, they would benefit immensely from selecting Michael Kidd-Glichrist. And as much as the Wizards want a pure shooting guard, if they choose Brandon Beal with the third pick, regardless of MKD’s availability when the time comes for the Wizards to select an amateur, they would be making an equally good choice. 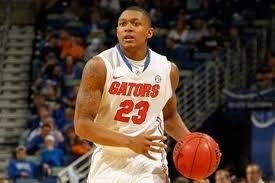 Bradley Beal was the 2011 Gatorade National Player of the Year. No slouch. Beal garnered six SEC Freshman of the Week awards and was named to the conference’s All-Freshman Team in addition to being a first-team All-SEC selection while at the University of Florida. The guy’s shooting stroke has been loosely compared to Ray Allen’s and at 6’5″, he has the size to match up with SG’s around the league. Placing him with John Wall will give him someone who can create space for him to make plays himself and allows Wall to have a SG he can trust on the perimeter. Placing him at the 2 also allows Ariza to move to his natural position at Small forward and creates a pretty diverse starting five that will have the athleticism to run the court and the skill set to play a half court game. Either option will do. The Wizards are in a good place to select one of the two individuals. NBA insiders have the Wizards coveting Beal, for reasons just elucidated in the previous paragraphs. What they SHOULD not do, however, is select Harrison Barnes. Yes, he is a good player, but could he be great with the Wizards. 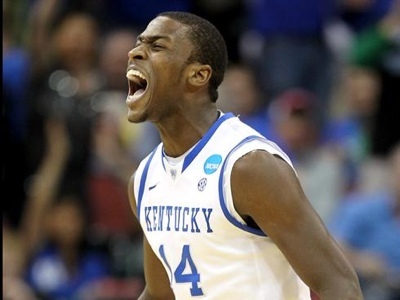 Harrison Barnes is one of the most overhyped players in recent history. Twice he made the preseason All-American team, and twice he didn’t end there. He is capable being a good scorer on any team, but his alpha male personality and his focus on improving his “brand” is not necessarily what the Wizards need right now. Plus he often looked slightly slow-footed the previous two years and forcing him into the SG position will only expose that potential vulnerability even more. The Wizards would be wise not to select him, the way the team is currently constructed. No more Andray Blatche’s. And while selecting Thomas Robinson, the local product, would be a feel good story, there simply is a more pressing need at the SG or SF position, depending on where the Wizards insert Ariza. Plus, we have seen only one year of Robinson as a full-time starter. He will work hard to provide for his sister, but how high is his ceiling? And when would he crack the line-up with Nene and Okafor manning the two front court positions. With that said, we have been down this road before. The Wizards will covet Beal, he will end up being taken by whoever ends up selecting second in the draft, and the Wizards will panic and select Barnes. Should things go the right way with the Wizards, as they rarely do, the Wizards will be able to select from MKD or or Beal tonight. As much as I would like the Wizards to draft Michael Kidd-Gilchrist, if both he and Beal are available when the Wizards pick third, the proper fit would be Beal. Here’s to hoping the Wizards don’t screw up. Should I hold my breath? Posted on June 28, 2012, in NBA and tagged NBA, Washington Wizards. Bookmark the permalink. Leave a comment.